Awards will be presented in several categories, as judged by a carefully selected panel of judges comprising of experienced and knowledgeable journalists and other professionals. The awards are open to active card bearing Press Union members, covering electronic, print, and online media outlets. Entries must be dropped off at the Headquarters of the Press Union of Liberia on 44 Clay Street with a soft copy submitted via the PUL email address: pressunionofliberia@yahoo.com. The Awards Committee will distribute entry forms for nominations for the Institutional Awards and the inaugural Lifetime Achievement Awards to be filled out and submitted electronically by media houses and civil society organizations while same be sealed up and dropped in a dedicated box at the Union’s headquarters. Nominations of the best radio & television stations will be done by the print media while the electronic media will nominate their best newspapers in like manner. The nominations for Journalist of the Year will be done by media institutions and civil society in Liberia. Also, Newscaster award of the year will be given in two categories: radio and television. At the same time, the PUL Awards’ Committee announces that there will be an award for the best community radio in each county for the first time this year with the full participatory selection process of the community dwellers. Awards for the best work in each category will be presented during the PUL Annual Awards Night on Friday, June 8, 2018 at an elaborate event climaxing the 2018 World Press Freedom Day celebrations in Liberia. All works to be submitted must bear prove of being published and broadcast during the period which falls within Sunday, February 26, 2017 to Monday, February 26, 2018. Journalists are encouraged to submit their entries between Thursday, March 1 and the close of business day on Friday, March 30, 2018. No entry will be accepted after the deadline. 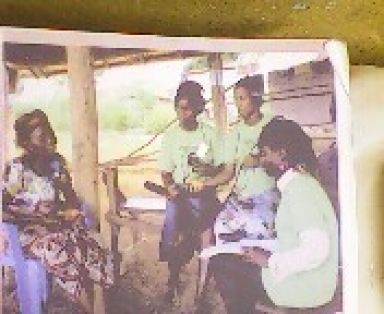 Environmental Reporting – Identifies the reporter, who provides insight, and meaningfully reports about various aspects of the environment, including laws, actions taken to curb, if not eradicate harmful practices and steps taken to bring violators of environmental laws to book in Liberia and beyond. This also includes efforts to address these environmental issues. Business & Economic Reporting - Identifies the reporter, who provides insight and up-to-date information for users to make informed business and economic decisions. This also includes coverage of stories and features relating to the Liberia’s Association and Commercial laws, and how the laws can be applied in the best interests of the Liberian populace. Judicial Reporting- Identifies reporting which covers legal issues in an understanding manner, making efforts to address concerns in judicial practice, including coverage of actors, abiding by the laws, which includes the Constitution of the Republic, statutes, judicial canons and/or codes, actions and highlighting efforts made to bring perpetrators of crime to justice. 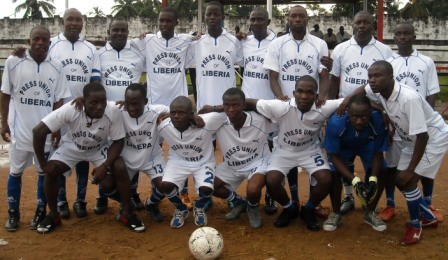 This also includes efforts to address law reforms and accountability in the Liberian Justice System. Executive Mansion/Presidential Affairs Reporting - Identifying the reporter, who articulately covers events from the seat of the presidency and the Executive branch of government. This including reporting the events, the issues and actions which make the Executive effective in the implementation of its constitutional mandate. Newscaster- Identifying the newscaster who employs skill, and experience in presenting newscasts to his/her audience. This has to do with presentation, style, diction and pronunciation. Photo Journalism- Identifying the reporter with a knack for high quality photographs that depicts the story and aids the reader with a clearer appreciation of the news story or event presented. It is also meant to reward the reporter whose photos tell the story, if not in its entirety, then at least to a large extent. Columnist - Identifying the reporter, who provides discerning and rational analysis of issues evolving in the Liberian society. Such analysis must be considerate of public interest and policy, and seek to proffer solutions to societal issues. Extractive Industry - Identifies the reporter, who provides awareness, and other information about this relatively new sector, the extractive industry. The reporter must take into account current realities, prospects, and challenges facing the sector, including whether or not minerals extracted are used for the common good. It also considers accurate dissemination of local and international laws governing the industry. Please consider accuracy, sourcing, balance, accountability, courage, originality, storytelling and Impact. Meanwhile, the Press Union of Liberia will recognize journalists and media institutions for exceptional and consistent reporting on public finance, especially the County and Social Development Fund and the national budget. Here are the award categories. Best reporting on CSDF (Broadcast Reporter): Entries for this award must include three to five radio stories on the impact of CSDF at the local level. Reporting must comprise a follow-up on a particular single CSDF issue or a series of stories. Story elements must include documents, diverse community voices, data and photos of projects. Best reporting on CSDF (Print Reporter):Entries for this award must include three to five news articles on the impact of CSDF and the national budget. Reporting must comprise a single story or series of stories/follow-up on a particular CSDF or national budget. Story elements must include documents, diverse community voices, data and photos of projects. & 20Excellent Coverage on reporting Public Finance (one for Print Media Outlet and one for Broadcast): Entries for this award must comprise three to five stories that include editorials, columns, stories and weekly column highlighting public finance issues and its impact on citizens. Broadcast outlets can also include news stories and weekly talk shows focusing public finance including CSDF. All applicants are required to unconditionally submit a hard and electronic copy of their entry. No entry will be accepted that will lack either the hard copy or the electronic version except otherwise not required by the Committee. Journalists are also encourage to submit series. Radio Station of the Year – The PUL Radio Station of the Year honors a Liberian News Entity which has served the public with diverse, independent, impartial and accountable contents with a resulting impact on the state. The Press Union of Liberia has continuously celebrated news organizations that hold ideals of journalistic excellence – accuracy, independence, accountability, courage and originality in works – with this annual award. Deadline: March 30, 2018, 11:59 pm GMT. Montserrado Community Radio Station of the Year– the PUL Montserrado Community Radio of the Year honors a Liberian News Entity which has served communities in Montserrado with diverse, independent, impartial and accountable contents with a resulting impact on the ordinary people. The Press Union of Liberia has continuously celebrated news organizations that hold ideals of journalistic excellence – accuracy, independence, accountability, courage and originality in works – with this annual award. Grand Cape Mont County Community Radio Station of the Year– the PUL Grand Cape Mont Community Radio of the Year honors a Liberian News Entity which has served communities in Grand Cape Mont with diverse, independent, impartial and accountable contents with a resulting impact on the ordinary people. The Press Union of Liberia has continuously celebrated news organizations that hold ideals of journalistic excellence – accuracy, independence, accountability, courage and originality in works – with this annual award. Bomi Community Radio Station of the Year– the PUL Bomi Community Radio of the Year honors a Liberian News Entity which has served communities in Bomi with diverse, independent, impartial and accountable contents with a resulting impact on the ordinary people. The Press Union of Liberia has continuously celebrated news organizations that hold ideals of journalistic excellence – accuracy, independence, accountability, courage and originality in works – with this annual award. Gbarpolu Community Radio Station of the Year– the PUL Gbarpolu Community Radio of the Year honors a Liberian News Entity which has served communities in Gbarpolu with diverse, independent, impartial and accountable contents with a resulting impact on the ordinary people. The Press Union of Liberia has continuously celebrated news organizations that hold ideals of journalistic excellence – accuracy, independence, accountability, courage and originality in works – with this annual award. Lofa Community Radio Station of the Year– the PUL Lofa Community Radio of the Year honors a Liberian News Entity which has served communities in Lofa with diverse, independent, impartial and accountable contents with a resulting impact on the ordinary people. The Press Union of Liberia has continuously celebrated news organizations that hold ideals of journalistic excellence – accuracy, independence, accountability, courage and originality in works – with this annual award. Margibi Community Radio Station of the Year– the PUL Margibi Community Radio of the Year honors a Liberian News Entity which has served communities in Margibi with diverse, independent, impartial and accountable contents with a resulting impact on the ordinary people. The Press Union of Liberia has continuously celebrated news organizations that hold ideals of journalistic excellence – accuracy, independence, accountability, courage and originality in works – with this annual award. Bong Community Radio Station of the Year– the PUL Bong Community Radio of the Year honors a Liberian News Entity which has served communities in Bong with diverse, independent, impartial and accountable contents with a resulting impact on the ordinary people. The Press Union of Liberia has continuously celebrated news organizations that hold ideals of journalistic excellence – accuracy, independence, accountability, courage and originality in works – with this annual award. Nimba Community Radio Station of the Year– the PUL Nimba Community Radio of the Year honors a Liberian News Entity which has served communities in Nimba with diverse, independent, impartial and accountable contents with a resulting impact on the ordinary people. The Press Union of Liberia has continuously celebrated news organizations that hold ideals of journalistic excellence – accuracy, independence, accountability, courage and originality in works – with this annual award. Grand Gedeh Community Radio Station of the Year– the PUL Grand Gedeh Community Radio of the Year honors a Liberian News Entity which has served communities in Grand Gedeh with diverse, independent, impartial and accountable contents with a resulting impact on the ordinary people. The Press Union of Liberia has continuously celebrated news organizations that hold ideals of journalistic excellence – accuracy, independence, accountability, courage and originality in works – with this annual award. River Gee Community Radio Station of the Year– the PUL River Gee Community Radio of the Year honors a Liberian News Entity which has served communities in River Gee with diverse, independent, impartial and accountable contents with a resulting impact on the ordinary people. The Press Union of Liberia has continuously celebrated news organizations that hold ideals of journalistic excellence – accuracy, independence, accountability, courage and originality in works – with this annual award. Maryland Community Radio Station of the Year– the PUL Maryland Community Radio of the Year honors a Liberian News Entity which has served communities in Maryland with diverse, independent, impartial and accountable contents with a resulting impact on the ordinary people. The Press Union of Liberia has continuously celebrated news organizations that hold ideals of journalistic excellence – accuracy, independence, accountability, courage and originality in works – with this annual award. Grand Kru Community Radio Station of the Year– the PUL Grand Kru Community Radio of the Year honors a Liberian News Entity which has served communities in Grand Kru with diverse, independent, impartial and accountable contents with a resulting impact on the ordinary people. The Press Union of Liberia has continuously celebrated news organizations that hold ideals of journalistic excellence – accuracy, independence, accountability, courage and originality in works – with this annual award. Sinoe Community Radio Station of the Year– the PUL Sinoe Community Radio of the Year honors a Liberian News Entity which has served communities in Sinoe with diverse, independent, impartial and accountable contents with a resulting impact on the ordinary people. The Press Union of Liberia has continuously celebrated news organizations that hold ideals of journalistic excellence – accuracy, independence, accountability, courage and originality in works – with this annual award. River Cess Community Radio Station of the Year– the PUL River Cess Community Radio of the Year honors a Liberian News Entity which has served communities in River Cess with diverse, independent, impartial and accountable contents with a resulting impact on the ordinary people. The Press Union of Liberia has continuously celebrated news organizations that hold ideals of journalistic excellence – accuracy, independence, accountability, courage and originality in works – with this annual award. Grand Bassa Community Radio Station of the Year– the PUL Grand Bassa Community Radio of the Year honors a Liberian News Entity which has served communities in Grand Bassa with diverse, independent, impartial and accountable contents with a resulting impact on the ordinary people. The Press Union of Liberia has continuously celebrated news organizations that hold ideals of journalistic excellence – accuracy, independence, accountability, courage and originality in works – with this annual award. Newspaper of the Year– the PUL Newspaper of the Year honors a Liberian News Entity which has served the public with diverse, independent, impartial and accountable contents with a resulting impact on the state. The Press Union of Liberia has continuously celebrated news organizations that hold ideals of journalistic excellence – accuracy, independence, accountability, courage and originality in works – with this annual award. TV Station of the Year - The PUL Television Station of the Year honors a Liberian News Entity which has served the public with diverse, independent, impartial and accountable contents with a resulting impact on the state. The Press Union of Liberia has continuously celebrated news organizations that hold ideals of journalistic excellence – accuracy, independence, accountability, courage and originality in works – with this annual award. To win an award for theBest Community Radio Station of the Year in a county, you must have provided the community dwellers all of the necessary needed information and not music and phone-in show. Therefore with the full participatory selection process of the community dwellers, the Committee shall pay keen attention to your professional output. Best Gender Reporting Institution of the Year- recognizes the media outlet which has served the public with diverse, independent, impartial and accountable contents on gender rights, protection and sensibilities. The Press Union of Liberia has continuously celebrated news organizations that hold ideals of journalistic excellence – accuracy, independence, accountability, courage and originality in works – with this annual award. Journalist of the Year – The PUL Journalist of the Year honors a Liberian Journalist who has served the public good with diversity, independence, impartiality and accountability his/her work during the period under review which positively impacted the state. The Press Union of Liberia is delighted to continue the celebration of individuals who works are helping the better the livelihood of ordinary Liberians. These works must hold ideals of excellence in journalism – accuracy, independence, accountability, courage and originality in works – with this annual award. Lifetime Achievement Award- The award recognizes an individual who has made a groundbreaking lifetime contribution to journalism in Liberia. The honoree will have exhibited, throughout his/her career, a commitment to the highest journalistic standards and ideals. His/her work and contribution to the field and society should serve as a model that inspires excellence in others. The winner will be selected by a jury and presented at the annual PUL Awards on June 8, 2018. Note: The Awards Committee will distribute Entry forms for the Institutional, Community Radios, Lifetime and the Journalist of the Year Awards to be filled out, sealed up by media houses and submitted to the below address.